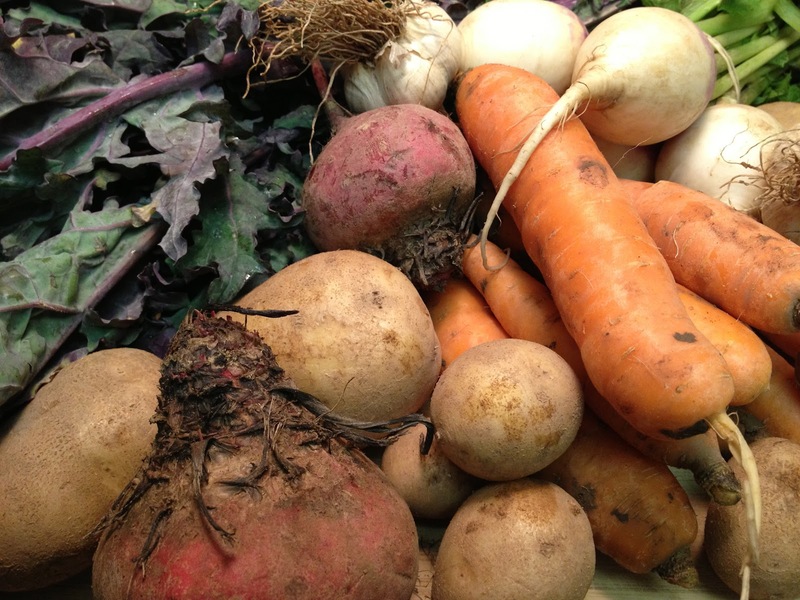 It’s the last week of the CSA. It took me a while to get used to it and now I am going to miss it! I love how that happens. This week’s haul is perfect because I am contributing roasted vegetables to my son’s preschool Thanksgiving Day feast. Carrots, potatoes, turnips and some garlic cloves will be tossed Brussels sprouts, onions, olive oil, salt and pepper and roasted. Half of the Red Russian Kale is going into the freezer and the rest is going to my friend Colleen. I am planning to use my new spiralizer on the beets. Post coming soon.